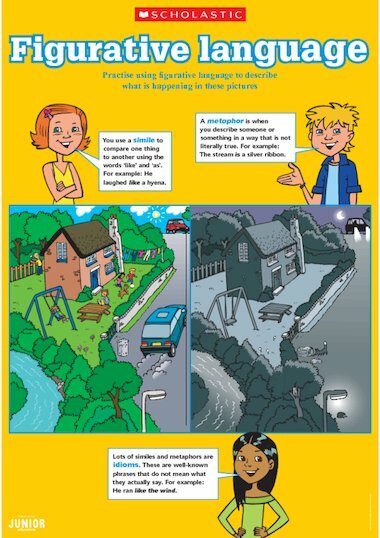 A colourful poster that explains similes, metaphors and idioms and asks children to use them in writing about the illustrated scene. This poster is exactly what I’d like in order to help my class improve their use of language – but there are no facilites for printing it out. I have adobe acrobat reader already and have had no problem with other resources on your site. Can you help?